Title: CUTTING EDGE SHOWN TO BE RIGHT AGAIN! JEWISH PROFESSOR ACCUSES SHARON GOVERNMENT OF PLANNING "ETHNIC CLEANSING OF ARABS IN ISRAEL"! Subtitle: For the past 8 years, Cutting Edge has declared that Israel was going to fully annihilate the Palestinians. We based this position upon the authority of God's prophecy of Obadiah 15-18 and upon practical military reality on the ground. Now, a Jewish professor is warning of this exact annihilation! "Let's start with Baruch Kimmering, a sociologist at Hebrew University. Here's what he sent to the Jerusalem Weekly Kol Ha'Ir last month, which duly published it: 'I accuse Ariel Sharon of creating a process in which he will not only intensify the reciprocal bloodshed, but is liable to instigate a regional war and partial or nearly complete ethnic cleansing of the Arabs in the Land of Israel. I accuse every Labor Party minister in this government of cooperating for implementation the right wing's extremist, fascist 'vision' for Israel'." Secondly, practical on-the-ground military realties have been screaming loudly since early November, 2000, that this is the real goal of the Israeli military and political establishment. Let us take these two factors in order. Antichrist will receive the recognition of being the Jewish Messiah as he is standing "amid the rubble of the Dome of the Rock! Most interestingly, our search amongst the propaganda of the Palestinians and Hamas [the terrorist organization supporting Arafat], turned up an unbelievable fact: Palestinian propagandists are already preparing their people for the blowing up of the Dome of the Rock! Therefore, the deed is not only prophesied in Obadiah, but it is now verified twice from Palestinian sources -- Arafat on CNN on September 7, 2000, and now on the official Palestinian Authority website. Arafat will likely be God's human agent by which God will fulfill His prophecy in Obadiah 17, that "On Mount Zion there shall be deliverance ... and it shall be holy ". 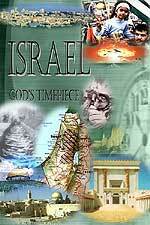 Arafat probably does not realize he is going to purge Mount Zion of the pagan Dome so as to make it holy; he thinks he is doing it because such an act would instantly unite all 1.4 billion Muslims in the world into such a frenzy that Israel cannot possibly survive the ensuing, furious onslaught. Then, a few years later, I happened to meet a retired Bible professor in a prophecy conference in Alberta, Canada. In our discussions, I asked him who the House of Esau was today; his response was that they were the Palestinians! You can see an illustration as to how this Fuel-Air bomb can destroy by blast and fire. This depiction is from a U.S. Navy website, and demonstrates 1976 technology. American forces have been using this type of Fuel-Air bomb in Afghanistan, and the Mass Media has been reporting it. The normal term used for this type of weapon has bee "Daisy-Cutter", but it has lately been referred to a "Thermobaric". Oslo Peace Accords literally stated that Israel had come to the conclusion that, if they gave parcels of land to the Palestinians, peace and harmonious coexistence between the two peoples could at last be achieved. This belief became known as "Land For Peace", and despite warnings from prominent politicians and military men, this series of concessions began unfolding. On September 13, 1993, President Clinton held a very high-profile signing ceremony at the White House where Israeli Prime Minister Yitzhak Rabin and Palestinian President, Yassir Arafat, signed the agreement and shook hands. The world seemed poised either on the brink of war or peace, but most people wanted to believe the brink was peace. In fact, a military commander would want to pull 100% of his own people out of the targeted areas just before he began his annihilating action. From my experience in U.S. Military Intelligence, I can tell you that an analyst would be looking for just this kind of action to occur, thinking that, when minority citizens are pulled out of the targeted cities and towns, this action would be a signal that large-scale attack was imminent. Thus, it was with severe trepidation when I read that Barak and his Cabinet had ordered the Israeli Defense Force to begin preparations for "physical separation" between Arab and Jew, in early November, 2000! If this "physical separation" involves the forcible removal of minority Jewish citizens from majority Arab villages and cities, you can be fairly sure that the annihilating war of Obadiah 15-18 is about to commence. 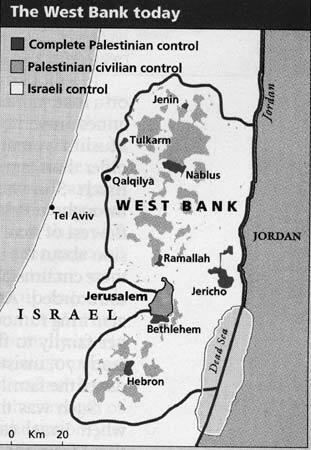 Can you see how easily a military commander armed with sophisticated Fuel-Air bombs could annihilate every Palestinian living within these enclaves? The key to watch is the "physical separation" the IDF was ordered to begin in early November, 2000. If this separation includes the forcible evacuation of Jewish citizens living within the Arab enclave, you can know this prophesied annihilation is about to begin. Thus, we have just answered our Question #3.
roads. It's clear that the government wishes to cut off the Yesha towns one from another, and to create large Palestinian blocs that have no Jewish presence." Let us repeat the pertinent phrase for you: "... the government wishes to cut off the Yesha towns one from another, and to create large Palestinian blocs that have no Jewish presence." This is exactly what Cutting Edge had been saying since 1994! Suddenly, the probability that the fulfillment of Obadiah could be very close seemed high. But, the IDF continued to "physically separate" Palestinian and Jewish populations. "Intelligence analysts are puzzled over the events occurring in and around Israel. Israel has been continuously cutting off more and more PA territory with trenches encircling the towns." Some news stories have reported that trenches, five to eight feet deep and five feet wide, have been dug around the major cities in the Palestinian Authority (PA) territory. Now, what purpose could such huge trenches serve? What purpose might these five-foot-wide by five-foot-deep trenches around the Palestinian villages serve? Might they be ultimately filled with water? Or, are they designed to keep people from getting through the fences to escape the village? Or, more likely, at least during the beginning phases of any military action, these trenches would serve as a real barrier to the heavily armed Palestinian Militia coming out from these Palestinian cities and attacking IDF positions outside. This latter military option seems most logical, from the Israeli side. We do not know exactly the purposes these trenches will serve in the coming war, but these they can only be viewed as further isolation of the Palestinian population from the Jewish, a most important necessity before the annihilation occurs. Since the IDF has been "physically separating" Palestinian from Jew since early November, 2000, what could Prime Minister Sharon have possibly meant by this statement? He could not have meant that the IDF was going to begin such a physical separation. However, when you zero in on his statement, "... the IDF would begin marking the zones immediately and placing obstacles along them", you realize that Sharon may be speaking of the final preparations for the genocidal attack that would fulfill Obadiah's prophecy! The last step before commencing just such an attack would be for the IDF to physically mark the target zone and place further obstacles so that no one could cross either into or out of these "target zones"! A FALSE "PEACE" AND PALESTINIAN STATE FIRST? While the scenario for this total annihilation of the Palestinians seems to be coming to the final stages, the diabolical plan of the Illuminati may have an interim -- and short -- step of a declared Palestinian State and "final peace". As we noted in NEWS1622, while these final plans for annihilation are proceeding, diplomatic efforts to establish a ceasefire and to announce a Palestinian State seem to be proceeding on a parallel path. These two developments are not contradictory, but represent a first-step and a second-step plan. The first step would be the creation of a Palestinian State that would allow the realization of Steps 3 and 4 of the New Jerusalem Covenant Plan [Read NEWS1587 for full details]. Then, once the Palestinian State had been created and these two steps realized, Arafat would follow the Illuminist plan and would initiate all-out war. One thing is certain: the End of the Age scenario as foretold in Scripture is coming true, in your Daily News.